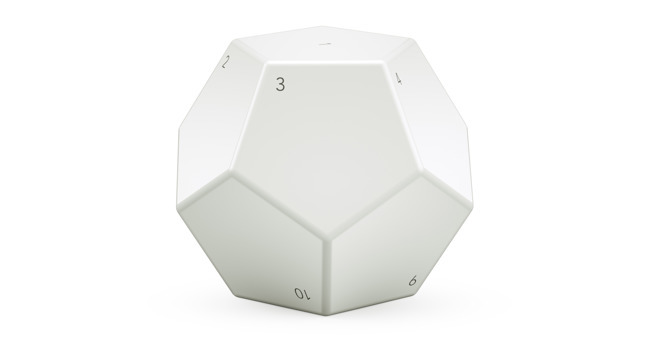 Each of the numbered faces of the Bluetooth-based Nanoleaf Remote can be set up to correspond to a different scene or action, which is configured via an iPhone or iPad beforehand. Faces can be used to turn on or off a single device if required, though it is probably more likely to be used to set a specific scene for a room, changing settings on multiple devices at the same time. As well as the numbers, the Remote also provides feedback to the user about what scene is triggered by changing color, which in terms of lighting, will match the selected scene. It is also possible to spin the Remote around while it is in position to refine the selected scene, such as by changing the brightness of connected lights. The Remote will ship pre-programmed with a number of scenes already set up, potentially allowing users to quickly get up and running with the accessory in a short space of time. 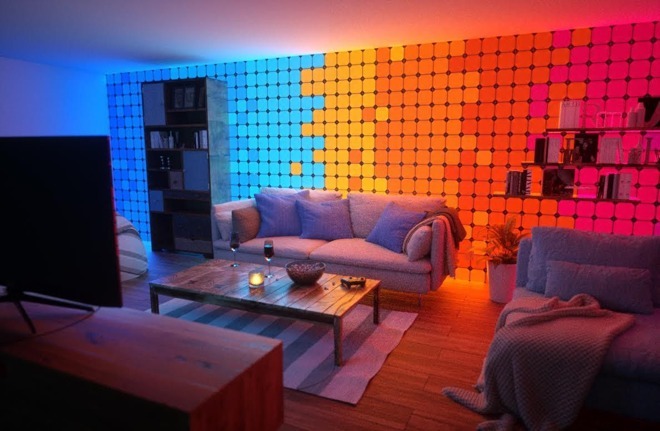 As expected, Nanoleaf's existing range of light panel kits will work with the Remote, though it will also function fine with third-party devices via HomeKit. It can also be used separately from HomeKit to control the firm's own lighting products, via its companion app, which is also available for Android. Nanoleaf plans to ship the Remote in the spring, priced at $50. 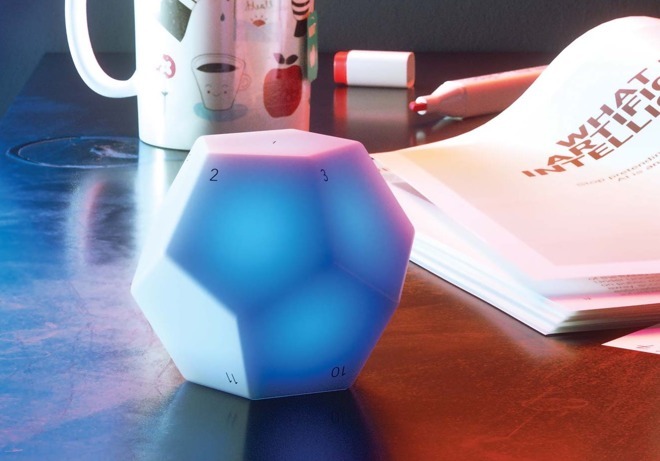 Pre-orders for the accessory will open soon, via the Nanoleaf website. The new color-changing Light Panels build upon the groundwork of the Aurora light panels, but with a major change in design from triangular to square panels, reports CNET. Still lacking an official name and price, the panels will include multiple improvements from the previous generation, including increased scalability. While the triangular versions were capped at up to 30 usable with a single base station, up to a thousand of the new panels can use the same base station in one installation. The manufacturer notes that while it does all use one base station, additional power boosters will need to be connected for every sixty panels, in order to maintain its brightness. The panels themselves will be touch sensitive, allowing them to be turned on or off, dimmed, or to change the displayed color via taps. The accompanying base station will use a music sync microphone and motion sensor, which can light panels when users walk by, or change lighting in time to music. Just as the original, the new panels will be compatible with HomeKit, allowing the colors and brightness to be set using Apple's smart home platform. Nanoleaf did not reveal pricing or availability for these new panels, but given the current nine-panel Aurora Smarter Kit costs $250 and three-panel expansions cost $70, these new and improved square panels could end up in the same pricing ballpark.